The Art of the Grand Gesture: Who Blinked First? When Amazon and Hachette Book Group reached an accord, the news rippled through social media. The fight had been long and the dispute was followed with great interest by the publishing community. That the resolution would generate buzz was to be expected. The question remains, however. Who blinked first? After months of wrangling, who felt the pain of the dueling boycotts? For much of the third quarter, Hachette's titles were difficult to come by if you limited your shopping to Amazon. The idea on Amazon's part was to inflict as much financial pain on Hachette as possible, to force the publisher to yield to Amazon's might. Yet when Amazon reported its earnings for the third quarter, the news was so bad that the stock took a big hit. It was starting to look like the actions of the publishing community against Amazon were having some effect, with well-known authors calling for boycotts on the pages of the New York Times. Beyond the pages of a newspaper, however, was the airing of the dispute on television to an audience that might not otherwise know a thing about the stand-off. And when a popular television programme calls on its viewers to boycott Amazon, that's more negative publicity than the average online behemoth can shake off. 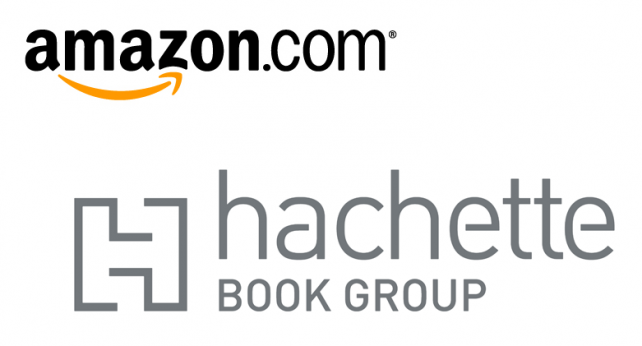 Now Hachette's parent, Lagardere Publishing, has released its third quarter earnings, and it is clear that the loss of Amazon as a sales outlet took its toll. Sales were down while Amazon was making it hard to buy Hachette titles, and you might wonder if the publisher was considering how long it could hold out, if indeed it could afford to continue the fight. Book sales in the US were down markedly, the result of Amazon's tactics, and with other negatives weighed in, Hachette would have had plenty of incentive to end the dispute. In the end, however, Hachette got what it wanted in the ability to set its own price on its e-book titles. Being able to control pricing was of the greatest importance, to avoid being run out of business by a vendor offering discounts while maintaining its own piece of the digital pie. If Hachette gives Amazon a more desirable deal on price, Hachette gets a nice prezzie from Amazon, but whether or not the incentives work for Amazon remains to be seen. Hachette would like to sell more books, and if it can offer a steeper discount while making up the difference on volume, Amazon could stand to benefit. But not all books are best-sellers, as Hachette well knows. They blame part of the decline in third quarter sales on the fact that 2013 brought them some very popular titles that 2014 did not, and when you compare year to year, it shows. Who blinked first? It's looking like Amazon backed down. Wouldn't want consumers to be thinking "boycott Amazon" with the holiday shopping season about to begin in earnest. After all, timing is everything.